Questa voce è stata pubblicata in MOSSES Alexander e contrassegnata con Alexander Mosses. Contrassegna il permalink. 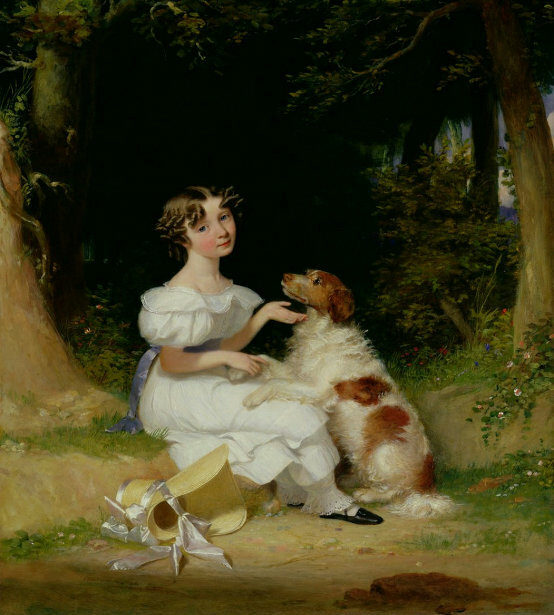 “Mosses, Alexander (1793–1837), painter, born in Liverpool, was the son of George Mosses, a plasterer and stucco maker. At an early age he showed a talent for drawing, and was apprenticed from 1 October 1806 to the Liverpool engraver Henry Hole (indenture dated 7 April 1807). He is said to have learned colouring from J. Jenkinson, a Liverpool portrait, landscape, and marine painter. Mosses became a competent draughtsman and colourist. He exhibited at some of the earliest Post Office Place exhibitions. In the exhibition of the Liverpool Academy for 1811 he showed a View of Birkenhead Priory, and in the following years landscapes and figural pictures. His only exhibit at the Royal Academy was in 1820: Dharma Rama and Munhi Rathama, Two Buddhist Priests from the Island of Ceylon. He became a member of the Liverpool Academy about 1822, was listed as ‘master of drawing’ in 1827, and professor from 1835. 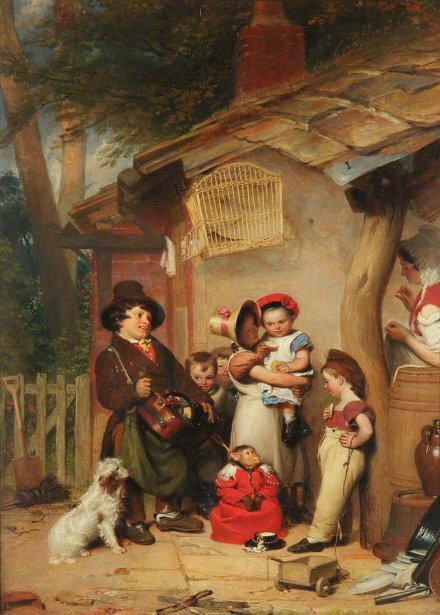 He achieved a reputable position in Liverpool as a portrait painter and teacher. He is said to have discovered and taught William Daniels, a noted Liverpool painter. 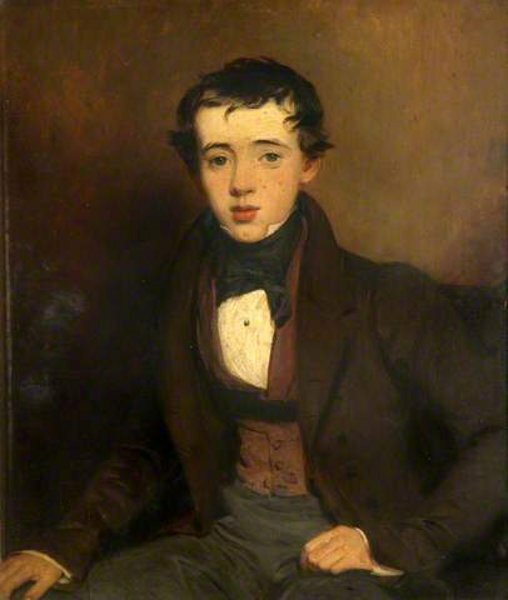 He was almost certainly the Alexander Mosses whose son, Alexander, was baptized on 19 April 1835 at St Peter’s, Liverpool, when the child’s mother’s name was recorded as Mary Smallwood. (In 1861 George, son of the younger Alexander Mosses, was baptized in the same church.) Mosses painted and exhibited some biblical subjects including, in 1829, Christ’s Agony in the Garden, and The Expulsion from Paradise, and exhibited twice at the Royal Hibernian Association, in 1832 and 1834. He painted the portraits of many eminent men in his locality. In 1831 he exhibited five pictures, the most important of which was the full-length portrait of Thomas Branker, mayor of Liverpool. He also painted a portrait of the Revd John Yates of Liverpool, which was later engraved by F. Engleheart. Other works by Mosses which were engraved included that of a butcher boy, showing the town of Liverpool in the distance, by H. Robinson. 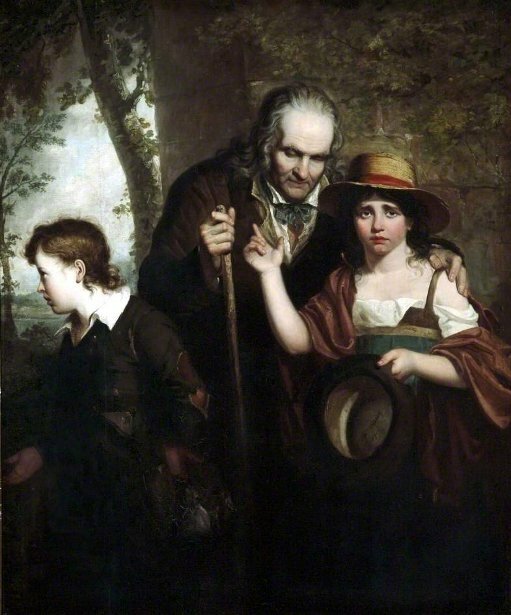 Also engraved was the picture of blind Howard, a well-known inmate of the Blind Asylum, and his children, which is in the permanent collection at the Walker Art Gallery, Liverpool, together with a portrait of William Ewart which was presented in 1873 by W. E. Gladstone MP. Mosses died at his home, 18 Pleasant Street, Clarence Street, Liverpool, on 14 July 1837, leaving a widow and two sons. His brother Thomas Mosses was an engraver in London. I am a descendent of the Mosses family and live in antwerp, Belgium. 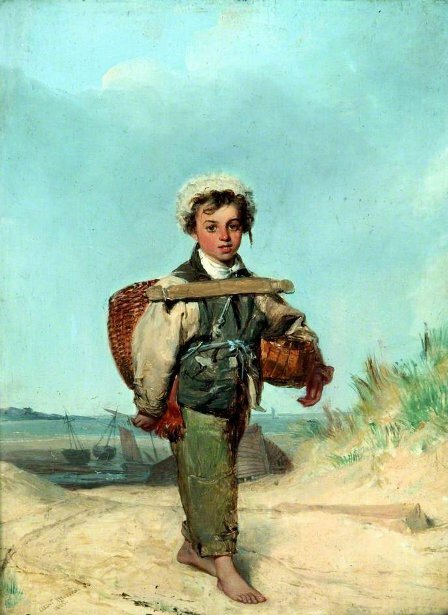 I have some information of the children etc of alexander Mosses up to today, but have very little information on the painter himself. I am also a descendant of Alexander Mosses,What information are you looking for? Alexander was my 3rd great uncle.If you let me know what your looking for I may be able to help. Thomas Mosses -the artist woodcarver brother- is my great-grandfather. (His son David b. 1878 was my grandfather). I would love to hear from anyone related to the family! My father is 100 years old. He did not know David, and is very curious about the Mosses family. I am easy to reach through my blog. Alexander Mosses was my 3rd great uncle through my great grandmother Mary Ellen Mosses. Barbara- Was Mary Ellen married to David Owen Mosses who disappeared about 1904? If so, I have the rest of the story. Contact me via my blog! Mary Ellen Mosses married James Turner, their son James Alexander Turner was my grandfather.